Well this is it, what may end up being the biggest problem in the history of this show, the problem nobody wanted or saw coming: the end of shows. Sometimes shows run their course, and this is one of those times. 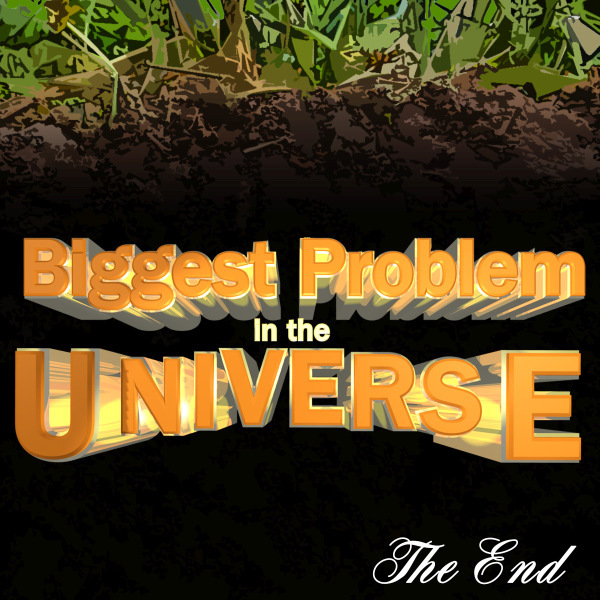 After 107 consecutive episodes, this will be the final show for The Biggest Problem in the Universe. When we took a break 2 weeks ago, I had every intention of coming back to regular episodes today. Unfortunately that can't happen, but we're going out with something a lot of fans have requested for a long time: the full intro song at the end of this episode. Special thanks to all of the guests, callers, people who sent in jpgts, fans who came out to the live shows, people who bought me drinks and all of the contributors and people who work behind the scenes to make this podcast possible, including producer Randy, Sean the audio engineer, assistant Jessica, Laurie Foster and Megan Pennock. This show wouldn't be possible without you. One final shout-out to Harry's for supporting this show over the years. Go to Harrys.com/BIGGESTPROBLEMS and use the promo code, BIGGESTPROBLEMS, to get $5 off your first purchase. It's been a genuine pleasure working with these guys. And finally, a very special thanks to me for tirelessly putting in 10-12 hours per episode for over 2 years, without a single break. You're welcome. So long for now, it's been a hell of a ride.